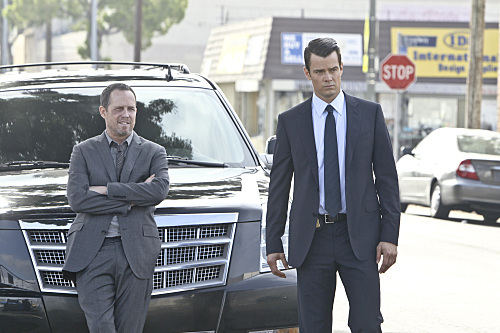 Battle Creek Review - TV CBS - Are You Screening? One of the hurdles of television is that no matter how solid a show you might envision as a general idea, you’ve still got to create a pilot. Balancing the establishment of the overall scenario, while still putting out something entertaining in itself is a trick that has killed off scores of shows that could have been great. Battle Creek is an almost perfect example of how to get the job done. That doesn’t automatically mean that the show is great, or that we need another cop show, or that the recent appearance of The Odd Couple isn’t curious, but the show nails the pilot. Dean Winters stars as, more or less, the best detective in Battle Creek, MI., Russ Agnew. That’s a complicated title before you even scratch the surface. Russ is frustrated by the lack of monetary support the police get (leading to one of the only problems in the pilot, the ludicrous delivery of said lack of funds), but it’s a pretty small city, so he’s had to learn to deal with it. Battle Creek is small enough that a double homicide is surprising enough to cause Russ to respond in disbelief, but apparently not small enough to keep him from becoming rather jaded about his job, and the system in general. Meanwhile, somewhere in the FBI machine, Milton Chamberlain (Josh Duhamel) is being handed the reins of a new field office, and wouldn’t you know that it’s in Battle Creek. Milt is annoyingly good-looking, has FBI resources, and gets the job done in precisely the sort of way that looks amazing on paper, and irritates the hell out of everyone who has to work with him. Now they’re forced to work together, and it’s hard not to ask if two divorced men clean up the mean streets of Battle Creek… without driving each other crazy. That may sound a little rough, but it’s put together in a supremely watchable package. Winters and Duhamel play off each other better than most actors working on their fifth season together, and while there are a few moments you have to write off to the pitfalls of a pilot, its almost bizarrely solid overall. Like any good buddy cop adventure (or anti-buddy cop, perhaps), the entire effort rests on the abilities of the two focal points. You want the “cases” to be engaging, but they don’t really matter. The one we get in the pilot is passable, but it doesn’t mean much to the overall quality of the show. As long as it never moves into the area of being so bad they are distracting, the cases are just the excuses to watch the characters. At least, that’s the way the show needs to go if it wants to continue, and it seems to understand that. It’s clear that the effort is more about working the characters than the case, and apart from one note that allows Russ to reveal his true Oscar Madison tendencies, solving the crime is mostly a routine affair. The show also includes a stellar supporting cast, that is almost too good for any single show, because they can’t all the time they deserve. Most notably, Kal Penn is on Russ’ team, as is Damon Herriman (fresh from his stint as Dewey Crowe on Justified). If the show can work them in enough, as well as the four or five others that deserve time on screen, it will probably win over a huge audience. Of course, too much ensemble time means not enough butting head time, which makes you wonder what scheme the show has in mind with this cast. Overall, Battle Creek is a show that steps up the game on the major networks’ “Spring is the new Fall” effort. In a sea of cop shows, the ones that stand out are few and far between (whatever the ratings), and Battle Creek could be the breath of fresh air that a lot of people have been waiting for. 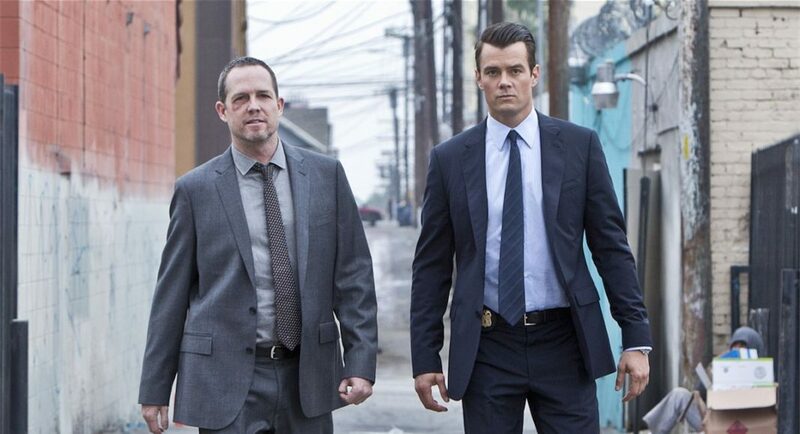 The comedy is understated, and actually funny, and Winters and Duhamel are poised to become a cop duo for the ages. It could still go wrong, but this should turn into one of the best shows of the year. The clip below gives a perfect entry to the show, and should serve as a summary of its abilities. BATTLE CREEK stars Josh Duhamel and Dean Winters in a drama about two mismatched law enforcement officers whose polar opposite views of the world and crime-solving breed frustration, disdain, humor and possibly a grudging respect as they clean up the hardscrabble streets of Battle Creek, Mich. Det. Russ Agnew, a good but gruff, hard-boiled detective, has his world upended when strikingly handsome, charismatic Special Agent Milton Chamberlain opens an FBI field office at the police station and chooses Russ to be his partner. Milt’s polished sophistication and access to unlimited state-of-the-art equipment is impressive to his new co-workers in the absurdly underfunded department. As Russ and Milt work long hours together in the economically distressed city of Battle Creek, the question is: will it be Milt’s charm and endless supply of high-end resources or Russ’s old-fashioned cynicism, guile and deception that prove to be the keys to catching the bad guys in his beloved hometown? Janet McTeer, Kal Penn, Edward Fordham, Jr. and Aubrey Dollar also star.